If one thing is clear, is that one of the highlights of Rocksteady’s upcoming game is that players will be able to drive the iconic Batmobile. Getting around Gotham City will be a more entertaining experience this time around, as Batman will not only be able to glide to his destination, but also drive to it in the Batmobile. There will be specific missions that feature the legendary car, and hopefully we’ll get to experience some great chase sequences like in Christopher Nolan’s 2005 Batman Begins film. 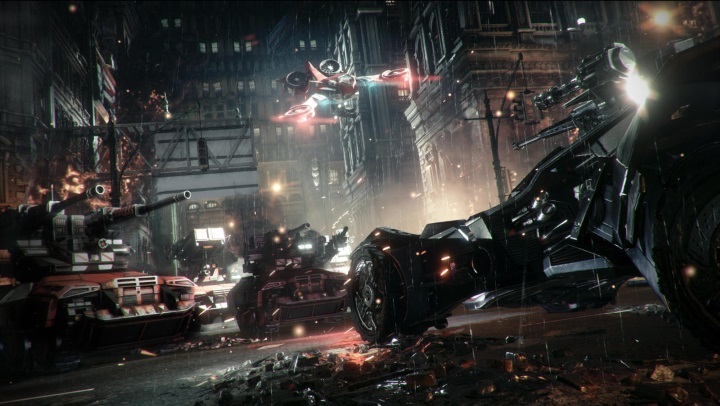 And if one thing is clear is that Rocksteady believes that the game’s driving action will leave players satisfied, as producer Dax Ginn stated in an interview with venturebeat.com that what makes the comics and game world different is “the sheer destruction on display in the game”. Also players will get to enjoy the great free-flowing combat of the previous game, but a novelty is that it is possible to fight alongside Batman’s allies, such as Nightwing, Robin and Catwoman. Actually players will even get to control Batman’s sidekicks during fights, as it is possible to switch characters and perform team manoeuvres, as can be seen in the trailer below.